It&apos;s a whole new TARDIS crew, a new Doctor and new ..er.. Friends. Not Companions, Friends. Unlike all other instances of the Doctor hooking up with a new Companion, these new Friends come to the TARDIS begging to keep traveling with the Doctor for the lamest of excuses. If I were the Doctor, knowing that me and my team are frequently in deadly danger, would I want to be assisted by folks showing that little enthusiasm for the role? The Doctor&apos;s Companions are there through thick and thin, getting into mortal danger, and occasionally dying. Therefore, shouldn&apos;t The Doctor want his/her Companions to have a strong positive rationale to come along? During the first four episodes we&apos;ve seen these three humans, and the Doctor, get into several tough situations. A master warrior on a mission to establish himself -- a deadly planet full of deadly autonomous weapons and poisonous water -- A spaceship under attack by a crazy energy-eating creature that lives in deep space -- and giant spiders roaming Sheffield. We saw these people facing those dangers with honor and strength, asking good questions, facing their fears, etc. No doubt they&apos;d be fine team members. They were brave and asked good questions. But.... when it comes time for them to officially begin journeying with The Doctor, they give the lamest possible excuses for wanting to tag along. Plus their demeanor is weak and noncommittal. If it were up to me I&apos;d tell them to go home and come back when they&apos;re serious. 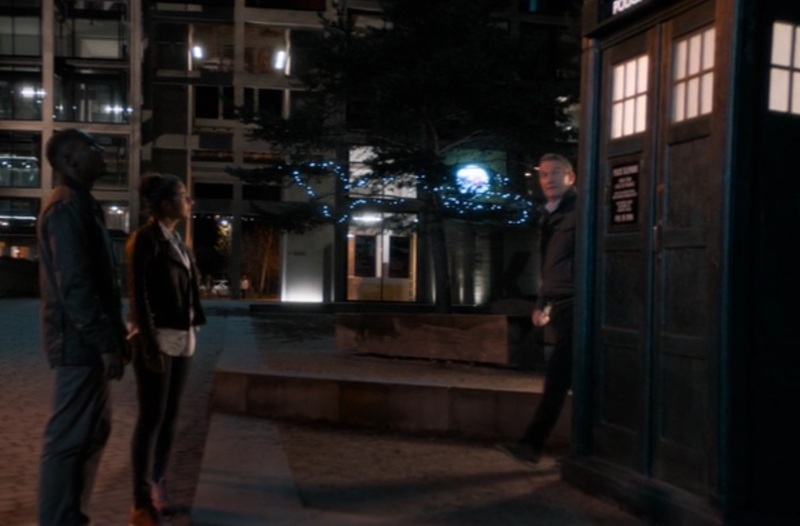 In any case - throughout the four adventures leading up to this point, The Doctor had promised to return the gang back to Sheffield safe and sound. The Doctor did that, and given the Spider issue was resolved there was nothing left for the Doctor but to head off into the her next adventure but without any companions. But the Doctors new Friends had other ideas. 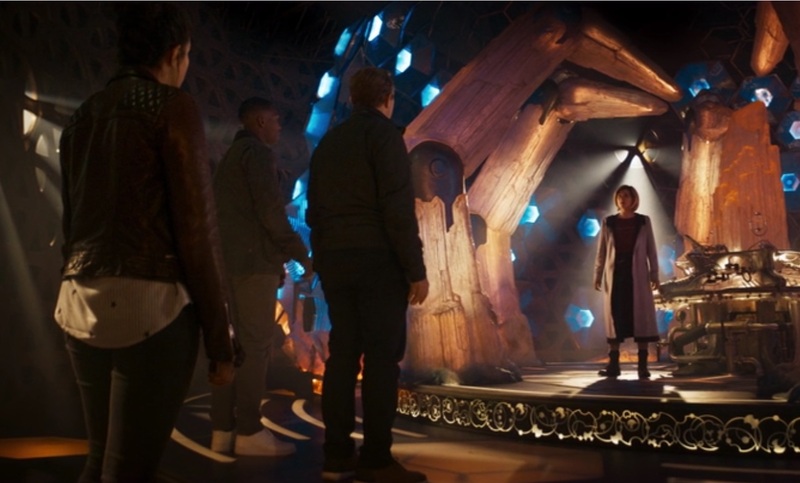 They gather at the TARDIS and go inside. BTW - Yaz simply walks out on her family. She&apos;d promised to go get bread but instead she&apos;s running off in the TARDIS. No integrity in this woman, and she wants to be a police officer? She could have fetched the bread before running off in the TARDIS -- at least that way she&apos;d have fulfilled the promise she made to her family. Inside they line up before the TARDIS console to plead their case. Are they jumping up and down with excitement? Nope. Are they chomping at the bit to see the Universe? Nope. Graham&apos;s lame excuse? That his wife is dead and the house holds too many memories, so he&apos;d rather escape those memories to head off to see the Universe. Ryan&apos;s lame excuse? He&apos;s bored with his warehouse job, and would rather escape. Yaz&apos;s lame excuse? Her family drives her insane, and she&apos;d rather escape her humdrum family life. What&apos;s this? That the new Companions are looking to escape their lives? This is a qualification for TARDIS crew member? This is the sort of behavior Tod Doctor wishes to reward?